What great ideas! My son would love the parfait. Thank you! My kids eat the parfait all the time now with whatever fruit we have on hand. Great for after the pool, too! Awesome ideas Nina! I hadn't thought about using the Funtainers for keeping fruit cool! I usually only use them for hot lunches! I am definitely going to try that this week. And they have MONSTERS, Inc ones now????? I'm in trouble. Great ideas, and a wonderful post! Fun! We have camp coming up soon! 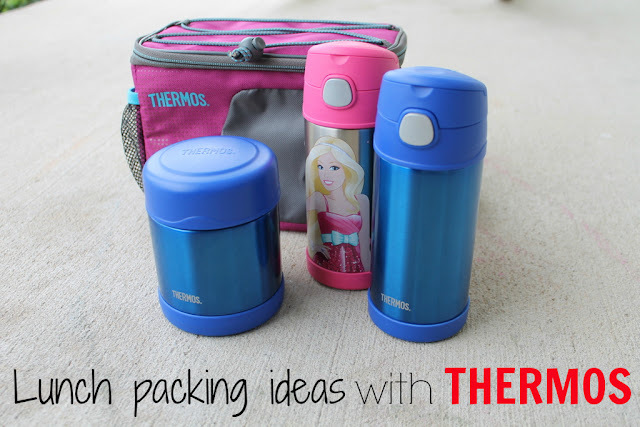 We have and love both the thermos and food container. How do you like the actual cooler? 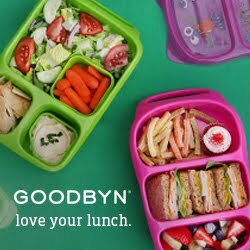 I have not been impressed with kids' lunchboxes actually keeping things cool. I'd love to hear that this really cute Thermos cooler stands up to hot weather.